Hanoi will continue to reform administrative procedures while developing utility services to support its businesses, in order to improve the business environment and enhance competitiveness in the capital city. 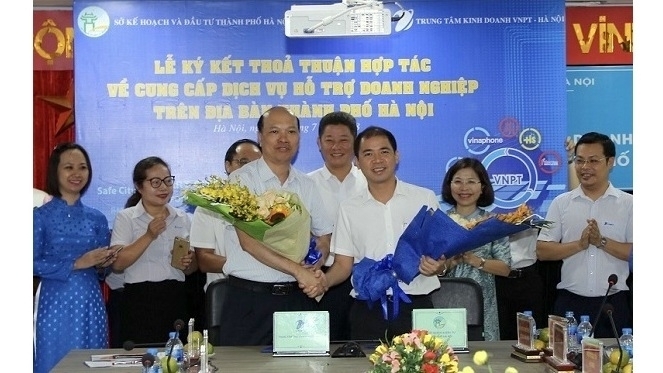 The statement was made by officials from Hanoi Department of Planning and Investment at the conference on development of utility services to support business registration on July 4. Nguyen Van Duc, Deputy Head of Hanoi Department of Planning and Investment, said that in the past six months, the department has launched a range of utility services for new business registrations on its portal. Among them, the most noticeable service is the pre-register of bank account numbers via the portal, which is linked to commercial banks. Enterprise owners can register their bank account number at the same as finalising procedures for establishing their new business, right before the birth of their businesses. "Previously, when completing the administrative procedures for entering the market, it could take enterprises nine working days to carry out the procedures to register newly established enterprises. 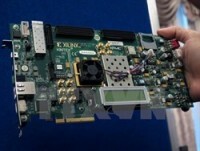 However, with this service, businesses will only need six working days," said Duc. 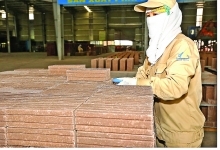 In the first half the year, the city has granted registration certificates to nearly 12,500 newly established enterprises with a registered capital of more than VND140 trillion; of which, nearly 84,000 administrative records were settled, up 10.6 percent over the same period last year. Notably, 100 percent of business registration applications are made online. Since the launch of the support services in January, the Hanoi Post Office has coordinated with the department to provide the service of returning administrative results to homes and offices for more than 2,800 units. In the coming time, the department will continue to accelerate the reform of administrative procedures to create a healthy and convenient investment and business environment for business development, Duc stated, adding that business registration procedures will be simplified to shorten the time before businesses can enter the market. At the conference, the department signed a cooperation agreement with the Vietnam Posts and Telecommunications Group (VNPT) - Hanoi Business Center to provide support services for local businesses. Accordingly, VNPT will provide IT services and solutions for newly established enterprises with many incentives, such as VNPT electronic invoicing, VNPT digital signatures and social insurance declaration software.